We don’t have a sales staff or marketing dept. Advertising is minimized to less than 1% of revenue. Our techs are paid commission only and are not paid for retreats so they have every reason to get the job right the first time. We call the customer to schedule appointments at specific times( that the customer chooses) and we are on time better than 95% of the time. If there is a problem getting to you on time we will call in advance to let you know so you won’t be left hanging. Many Houston pest control companies will keep you waiting. Stuart’s technicians are more experienced than most of our competitors. They all have between 11 and 20 years experience. All have Certified Applicator licenses from The Texas Dept. of Agriculture in multiple categories which is only required for business license holders. I (the owner) am available to speak directly to customers on a daily basis. Stuart’s does not have any contracts to sign. Some Houston pest control companies will try to sell you an annual warranty. Stuart’s does not sell annual warranties for termite treatments. 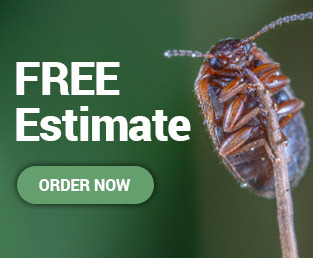 We warrant all termite treatments for five years without additional annual fees.